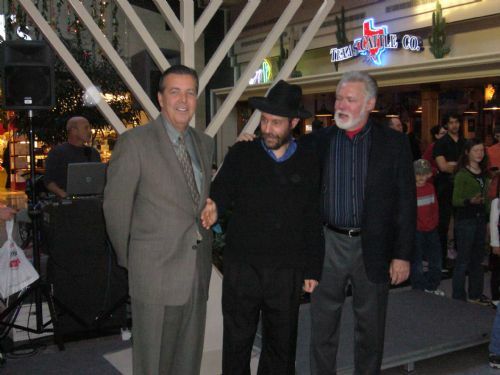 Chabad of the Antelope Valley was established in 1989 by Rabbi Yehudah & Chanie Lazar as emissaries of the Lubavitcher Rebbe, Rabbi Menachem Mendel Schneerson, with the goal to bring authentic, traditional Judaism and the joy of Yiddishkeit to the High Desert. Those living in the High Desert, a spiritual desert, were parched for Torah which is compared to water, a necessity for life. Chabad offers an oasis in the desert, life-giving water to the spiritually thirsty in the form of Shabbos and Yom Tov services, Talmud Torah/Hebrew School, adult education, outreach, holiday celebrations, teen club, community events, counseling, hospital and prison chaplaincy. Chabad is a Hebrew acronym for wisdom, understanding and knowledge. This represents bringing the Torah and it’s teachings to all levels of understanding. We care for every single Jew regardless of background, levels of practice or knowledge of Judaism. The motto of Chabad is “A Jew is a Jew”. 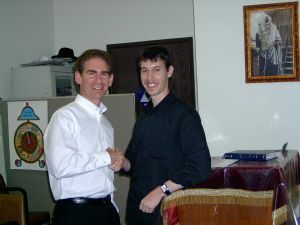 We at Chabad welcome every Yid in a warm, friendly, and non-judgmental manner. No membership fees are required. One who attends Chabad is offered the full smorgasbord of Judaism. 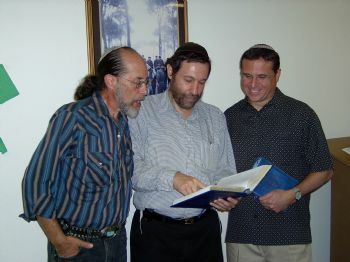 Each individual makes personal choices to sample and taste of the kosher spiritual delicacies to their heart’s desire. Walking into our Chabad Center you will be welcomed and enveloped by the warm and heimish atmosphere. 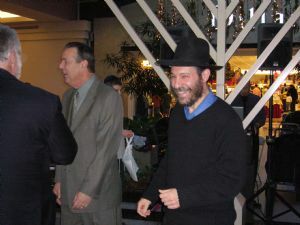 You will meet families, singles, seniors and children, Jews from all walks of life backgrounds and affiliations. No expectations. Just a place for your Neshoma, your soul, to express itself and to quench your spiritual thirst in the High Desert. Our members vary greatly in their degrees of Torah observance yet they all come together here at Chabad and share a common bond of heritage, worship and friendship. Feel free to attend as often as you like. You are already a member. We all are. We are one people, we have one Torah, and we have one G-D. We at Chabad endeavor to bring unity to the Jewish community through our common bond of Jewish faith. We do not label ourselves and we don’t label others. We are all just Jewish. 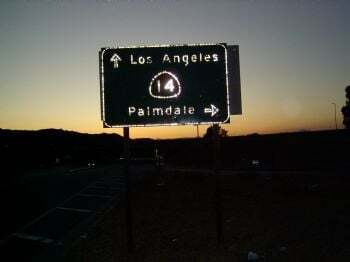 Judaism was born in the desert and it is appropriate for it to continue to flourish and thrive here in the Antelope Valley of the High Desert. When I think of happiness, I think of the affection the two of you have always given us. It’s been there in so many ways... in small moments of comfort or big celebrations... and especially in all you do to make this festival of Lights so special for us and our family. May the Almighty G-D shower you and yours with abundant blessings on this Holiday of Chanukah and always. My son has told me about the many wonderful experiences he has had at your home and at the services he attended. I’m grateful that there is such opportunity for spiritual nourishment and the connections he’s had with his heritage and past. He wrote glowingly of your fine Seder and your wife’s great chulant. I would like to express my appreciation for your kindness and friendship towards me. You should know that I have been deeply touched by being included in your lives and especially during this past Shavuos. The statements above are not sufficient to describe my feelings. You all show me sensitivity, understanding, compassion and you teach me so much. When I visit you, I feel a deep sense of peace and community that persists even when I go home. And sharing the holiday with you was a delightful and joyful experience. Did you know that you have been doing so much!? I don’t know quite how to thank you for everything that you have taught and done for me during my stay in Boron FCC. I thank you from the depths of my heart and only ask that you continue in your efforts for the sake of all those men at the camp who so desperately need you. You are a most special person for me and I pray that you and your family have all the of the health and happiness that can be given here on Earth. The Mitzvot that you do will be counted double on high.